This volume is available as a MP3 CD and a downloadable MP3. 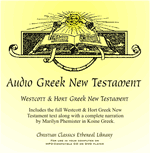 The Audio Greek New Testament contains narration of the entire Westcott & Hort Greek New Testament in Koine Greek. 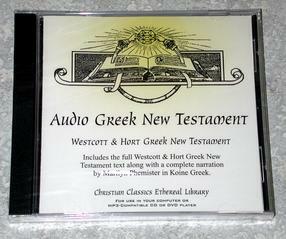 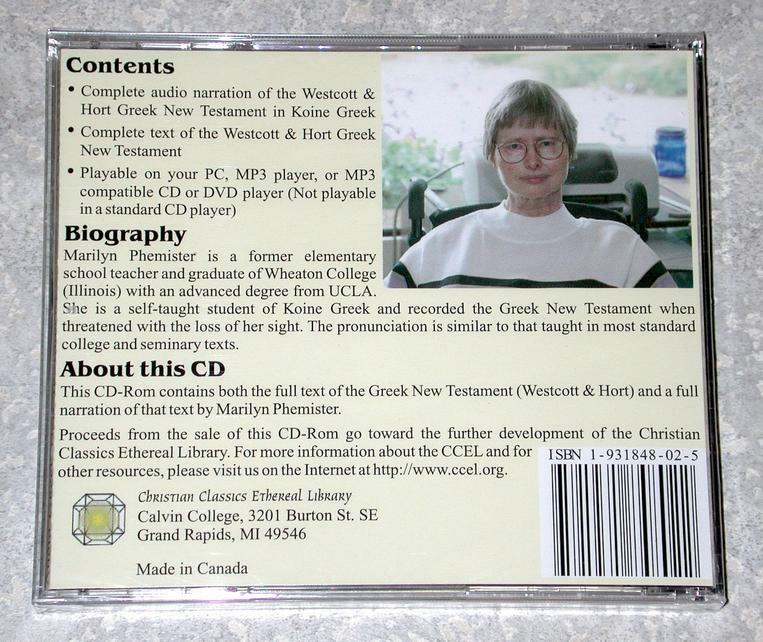 The entire text of the Westcott & Hort Greek New Testament is also included with the MP3 CD for on-screen viewing in a Web browser.